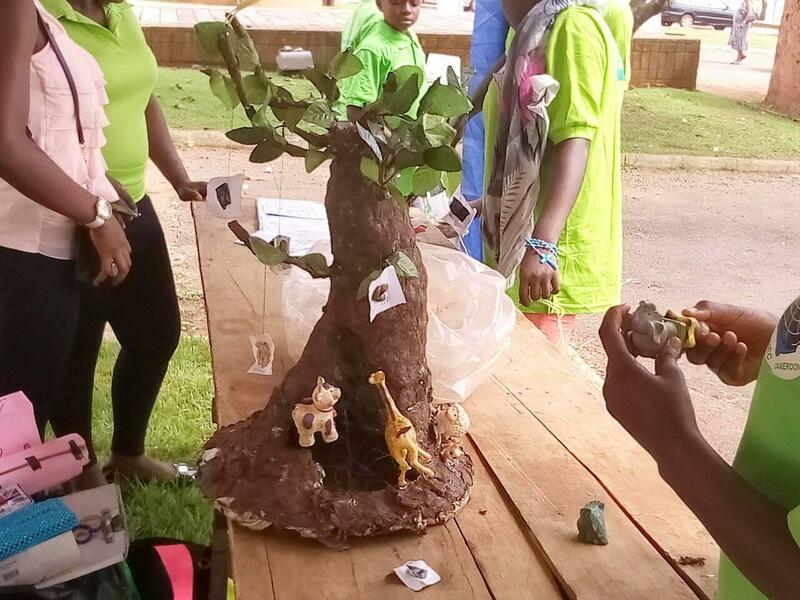 LANEC participated in the Week of the African Child showcasing their latest projects. 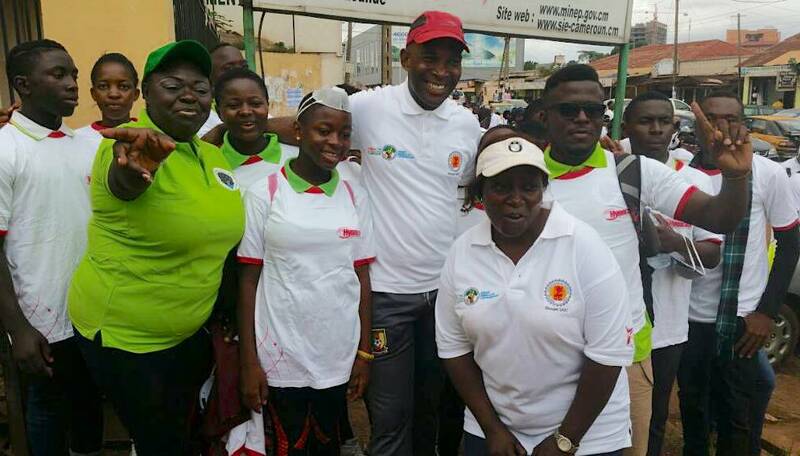 Within the framework of the 2018 activities in prelude to the world Environment Day celebrations in Cameroon, LANEC, joined their peers from other friends of natu re clubs, and institutions in a Sensitization caravan through some main markets in the nations capital. 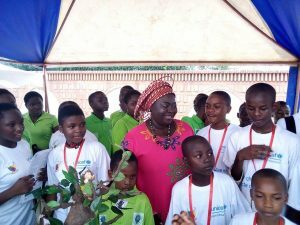 The event organized under the auspices of the ministry of Environment protection of nature and Sustainable Development! The walk which took place on the 29th May 2018 had the main objective to raise awareness on the negative effects of plastics. This falls in line with the theme of World Environmental Day this year which is to ’Beat Plastic Pollution’ The point of departure was brass eries (SABC). Various organizations and schools were present, including ; LANEC, Hysacam, NAMe recycling and brasseries (SABC) personnel, under the coordination of MINEPDED. Students were from the universities of SOA, IRIC, public works, etc. The walk kicked-off with about 200 participants. 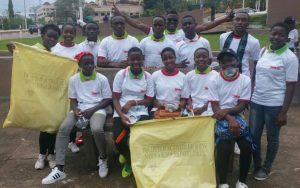 The road map was brasseries through Mvogm-bi, post central and central market to the esplanade of the ministry of Higher education were we took a break and we took off to the independence monument. On the way all plastics waste we came across was picked and dumped in trash bags. 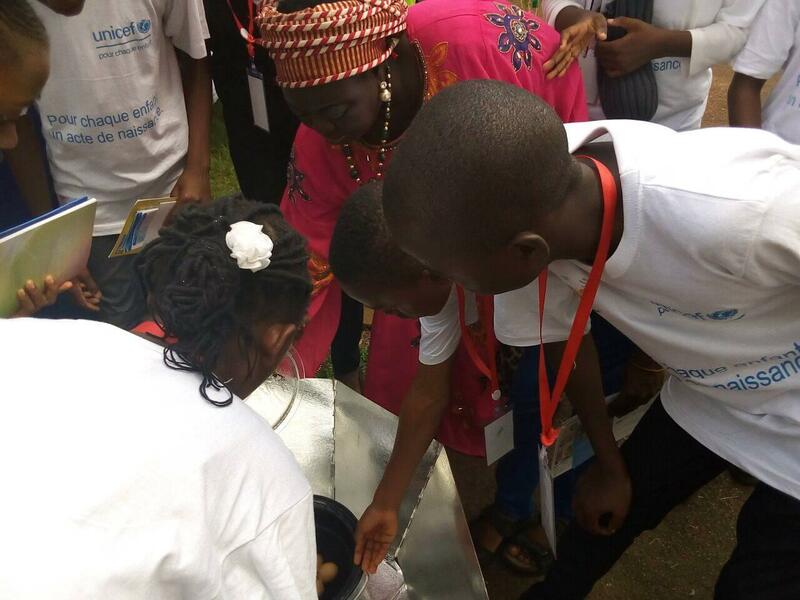 There was a car with speakers leading and giving life commentaries with regards to plastic waste hazards. 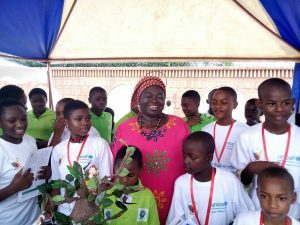 The Little Angels of the Environment Cameroon is an association of children and youths between eight (8) to sixteen (16) years, which sensitizes the public to the importance of environmental protection, has been carrying out many activities.